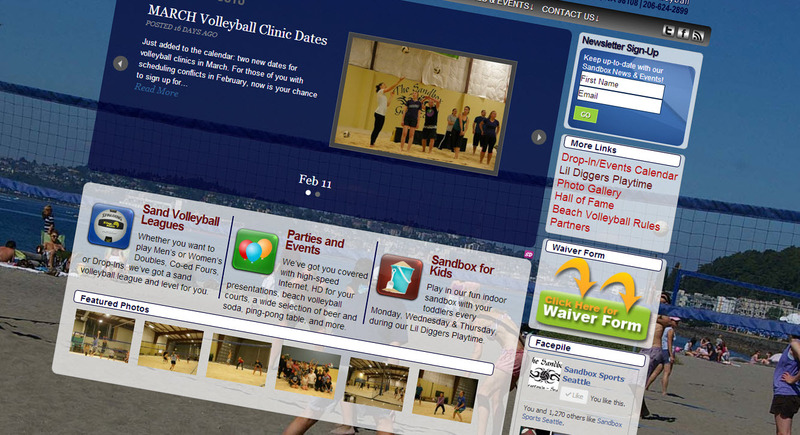 IntelliMart partners with Sandbox Sports to relaunch their Beach Volleyball Site with added functionality, improved usability and an easy-to-use CMS tool. Thanks to the power of WordPress, Sandbox Sports now has a site that is easy to create and maintain content without HTML/CSS or Web development experience. Some of the features includes: Photo Gallery, Schedules for each of their leagues, Stats for each league, Blog, Featured Articles, integrated SEO for individual pagess and posts, custom forms that store results in a database and much more. Checkout SandboxSports.net and see why IntelliMart makes sites that make sense. 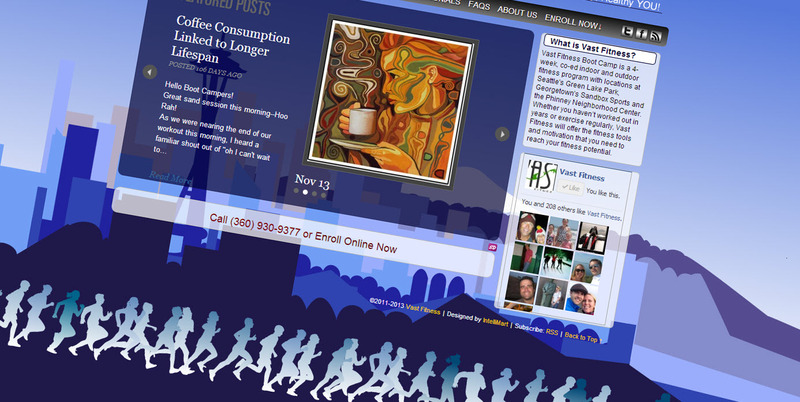 It was just a few short years ago that Web designers were hand-coding static Web pages and publishing with FTP clients. 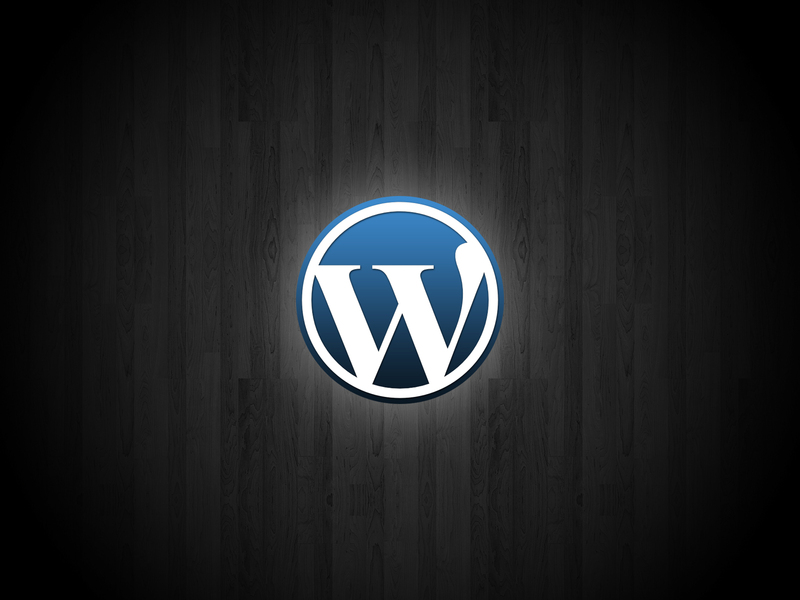 WordPress (25 million), Joomla! (14 million) and other open source Content Management Systems (CMS) are quickly becoming the engines that power many personal, small and medium business sites, including powerful plugins and extensions that extend functionality for e-commerce, reservation systems, e-magazines, social-networking, goverment applications, non-profits, and more. At IntelliMart we specialize in designing Web sites that harness the power of WordPress, whether you need a publication, social-media or e-commerce engine to run your site. We also live and breath a Test-Measure-Learn approach for your e-Marketing needs, so your organization will maximize ROI, Usability, Customer Retention and Conversion. Let us help move you past potential to proven results. What’s All The Buzz About Social Networking? Unless you’ve been living under a rock or without a computer, you’ve been inundated with the buzz about social networking sites: Facebook, Twitter, Myspace, Friendster, and the list goes on. So what does all of this mean for your customers? Do you need to be part of the frenzy? If you’re not part of the social movement will you be left behind? Business owners often struggle with the question of whether or not their employees should be using social media in the workplace. There are obvious reasons why they shouldn’t, but there are certainly potential benefits as well, and unfortunately not a lot of clarity to the matter. So let’s look at this from several different angles. – 79% of workers use Facebook, LinkedIn or YouTube at work for business reasons, and of those business reasons, 54% cited professional networking, 52% said research, and 52% said learning about colleagues were what they used them for. – 62% said LinkedIn was their preferred network for business purposes while 55% said they prefer YouTube for personal reasons. Based on this survey alone, there isn’t a whole lot of difference between the amount of people using social media for business reasons and those for personal ones. There is no clear cut answer to the question, “Is social media good for my business?” There are obviously pros and cons. Social media is a good way to network with other professionals in any given niche. In fact, there’s hardly a better, more cost-effective way to do this. It’s literally free not counting your ISP fees and any on-the-clock time used. It can be particularly effective for an entrepreneur who is still trying to make a name for his/her business. Along with networking comes the second major pro, which is branding. The more you network within communities like Facebook, Twitter, MySpace, YouTube, etc, the more your brand is going to be exposed to others. For the established brand, social networking can help keep that brand fresh in the mind of said communities. A decrease in productivity is often noted as a con to using social media in the workplace. 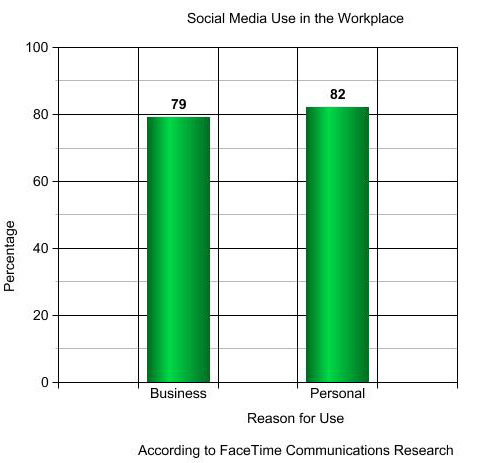 As the numbers from the FaceTime survey indicate, this certainly does occur, although the amount of people using social media for business reasons isn’t much lower than the number using it for personal reasons. The problem is, there isn’t really a tangible way to measure the amount of productivity reached by these efforts. Just like it is hard to measure brand awareness. In relation to this, another problem is the economy. Can a business owner afford to have employees spending precious hours on a networking or marketing strategy that may not deliver measurable results? 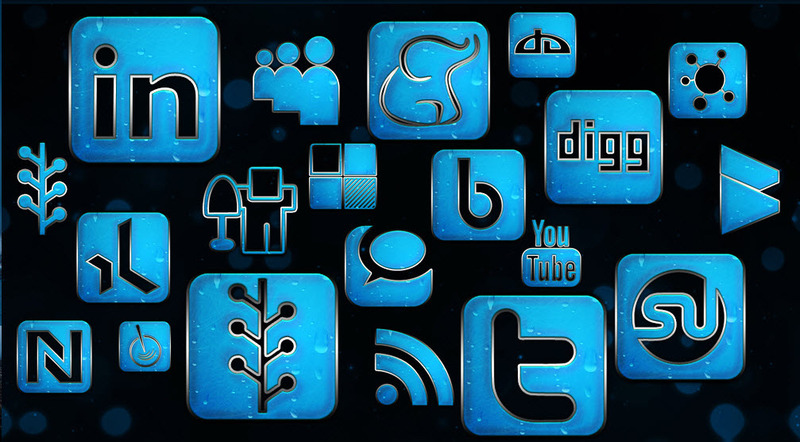 Social media by its very nature is individually oriented and not company oriented. It’s often hard to distinguish if an employee using social media like Facebook or LinkedIn is in actuality promoting herself instead of the company. How should a company manage employees directed to utilize social media in the company’s interests? It is a difficult question to answer but one that must be answered if social media is to go mainstream with business. A more concrete flaw with social media in the workplace is the security threat that it can pose to a company. Third party applications are becoming more prevalent in social networks, and along with those, vulnerabilities are popping up (see the Facebot experiment). “For all four years that FaceTime has commissioned this survey, end users have claimed they have the right to download and use whatever applications they choose to help them do their jobs. This year’s study also reveals their social media habits have extended into the workplace and may be contributing to security and data leakage incidents,” said Frank Cabri, vice president of marketing and product management at FaceTime. The truth is, there are a number of variables that come into play when deciding if social media has a place in your workplace. First off, who is using it? The positive/negative impact it can have is likely to depend on the role of the employee who is using it. Which social networks/sites are being used? I’m not going to favor one or the other, but depending on what type of business you are in or what your goals are, Twitter might be more useful than YouTube, or vice versa. Different networks have different elements as well. For example, you may find commenting on a MySpace blog to be of some use, but also find that messaging “friends” does little to help you achieve your goals (again – or vice versa). Another variable to consider is that the lines between what is social media and what is not are becoming increasingly blurry. I tend to lump blogs and forums in with social media, because of the community elements they provide (my thinking has been – if you’re socializing with others, why isn’t it social media?). 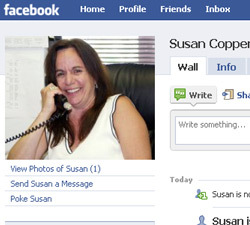 Lots of existing sites are adding social elements as well (think “Dunder Mifflin Infinity” for fans of NBC’s The Office). 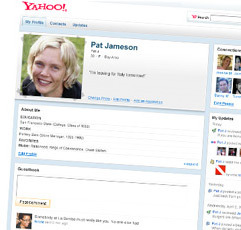 Even Yahoo has gone social by opening up user profiles to social interaction. I’ve championed the use of social media for businesses repeatedly, but that doesn’t mean it is a perfect fit for every business. When it comes down to it, managers and/or business owners are going to have to take stock of what they are trying to achieve, and if such achievements can be met with social media. Then they’re going to have to decide if it is worth it to them in terms of time and money (Lisa Braziel has some good questions to ask yourself when it comes to this). The fact of the matter is, it can go either way, and unfortunately to really get good results, it’s going to take some time and effort, and even if you get good results it can be difficult to measure. What do you think? Vast Fitness came to IntelliMart looking for site design that allowed their owner to write Health Tips, Workout routines, and post photos of her fitness boot campers. Additionally, Vast Fitness needed its participants to register for their 4 week sessions in a database that could export to a spreadsheet. Thanks to the core abilities of WordPress, IntelliMart was able to build a custom-looking Website that provided all the functionality with a quick turnaround for their client. Checkout VastFitness.com to see how WordPress serves Vast Fitness boot campers.